Climate change is being felt locally, through floods, heatwaves and other meteorological maladies, but there’s little sense in leaving the mammoth task of climate adaptation to local communities to figure out for themselves. That’s why the Obama Administration convened a panel of local, state and tribal leaders last year to advise the federal government on how to guide and improve climate adaptation efforts and resiliency planning. On Monday, that panel presented a 46-page report containing more than 100 of suggestions to White House officials, ranging from a need for a compendium of adaptation case studies and best practices to changes in how the insurance industry works. King tide flooding in Sausalito, Calif., has worsened as seas have risen. The federal government says it’s already acting on some of the group’s findings. “We have started to integrate the recommendations into the grant programs across the federal government, and really trying to figure out how to embed this work in the DNA of the agencies across the administration,” White House Council on Environmental Quality chief Mike Boots told reporters. Many of the panel’s suggestions focused on the need for improved data and information; a theme upon which the government had acted even before it started sending out the morning’s media alerts. The U.S. 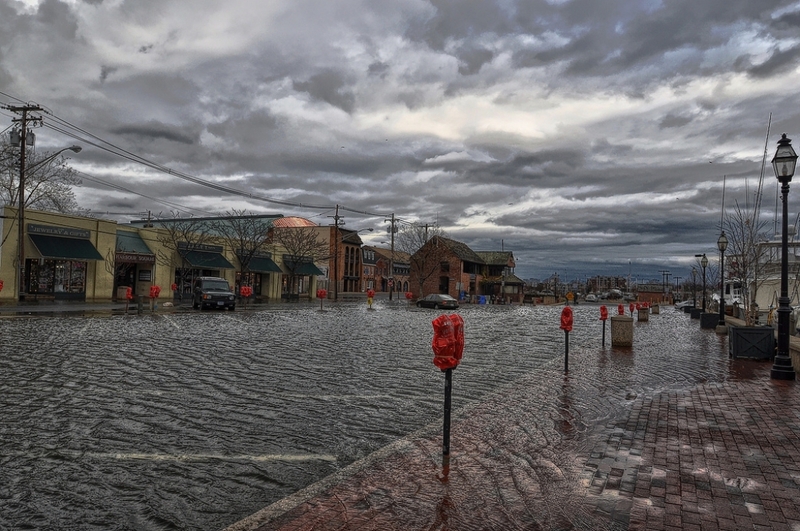 Climate Resilience Toolkit, aka the Climate Explorer, is a new online tool that can be used to assess coastal flooding risks, water shortfalls and other challenges associated with global warming. The first phase of the toolkit was launched by the National Oceanic and Atmospheric Administration on Monday, representing an extension of the government’s geeky approach to harnessing the power of Big Data in working to adapt to climate change. 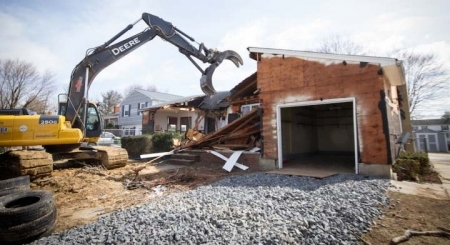 This house in New Jersey, which was ruined by Hurricane Sandy's storm surge, was purchased by the state using federal funds and demolished under a flood-control program that's replacing houses with public open space. Not all of the group’s recommendations were focused narrowly on climate change. Many simply offered advice for fostering greater resilience to disasters, regardless of whether climate change is behind those disasters. “It’s about streamlining the relationships that the federal government has with local communities when it comes to things like disaster relief and extreme weather,” Robert Cowin, the Union of Concerned Scientists’ government affairs director for climate and energy issues, said. Cowin said the Obama Administration could act on many of the report’s recommendations without the support of Congress, which is skeptical of the need for climate action. But he said the task of readying the nation for a deteriorating climate would be made easier if Congress supported reforms, such as by reshaping agencies and allocating funds. Below is summary of the report’s major recommendations, which were widely praised by experts. The panel called on the federal government to ramp up existing efforts to foster a reimagination of how cities can grow, such as through the Partnership for Sustainable Communities and the $1 billion post-Sandy Rebuild Through Design competition. The group also asked the government to encourage and lead in the development of improved guidelines and standards that better protect buildings and infrastructure from disaster. 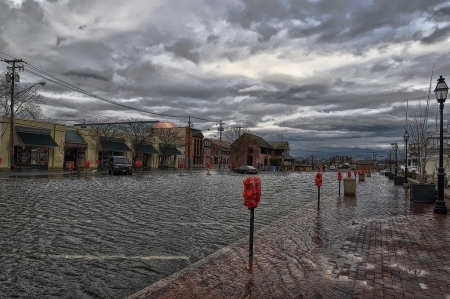 A king tide floods a street in Annapolis, Md., in 2012. Climate change poses heat- and flood-based risks to roads, power plants, harbors, water delivery systems, rail lines, water treatment facilities and bridges. The group urged the federal government to reduce those risks by building in low-risk areas, where possible, and by retrofitting vulnerable infrastructure that can’t be relocated. The group also called for a boost in spending on green and natural infrastructure, such as the replanting of wetlands to buffer against flood surges and sea level rise. Experts praised the task force for including ecosystems in its report. The conservation and restoration of natural and working lands, the group stated, can protect water and food supplies, moderate local temperatures, reduce flood risks and provide habitat for wildlife that’s being stressed and driven to new ranges by climate shifts. Climate change can make people ill, such as through heat stress and by expanding the range of disease-carrying mosquitoes. Disadvantaged and illness-prone communities are “likely to be disproportionately burdened,” the group said in its report. The panel asked the government to develop new health tracking tools. It also wants it to identify the most vulnerable communities and to consider climate change when evaluating federal programs designed to help them. The value of improved disaster preparedness was also emphasized, as was the importance of local food security, which can be threatened by global warming and ocean acidification. Disasters offer unique opportunities for communities to rebuild in new and creative ways — ways that can help shelter them from similar such disasters in the future. With that in mind, federal disaster recovery programs should repair and rebuild in ways that reduces future risks, and they should help local, state and tribal authorities do the same, the group said. It urged the government to deny funding requests that would see buildings and infrastructure rebuilt in ways that exacerbated vulnerabilities. 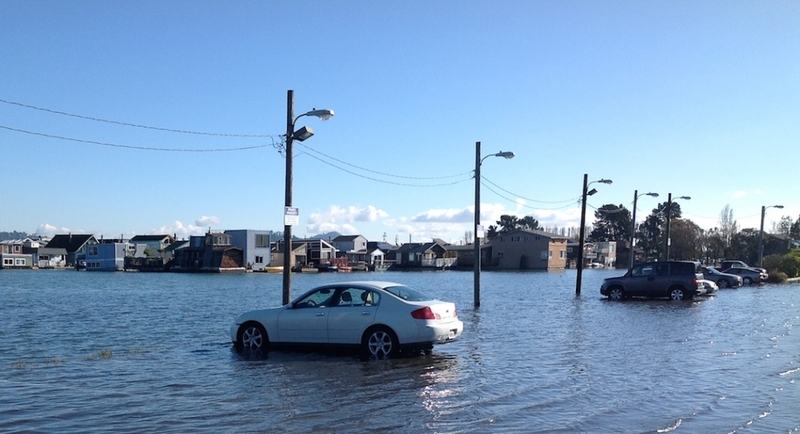 The group also called on the federal government for “adequate funding” to update the National Flood Insurance Program’s maps, to reflect sea level rise, shoreline changes and changes in storm frequency wrought by global warming. 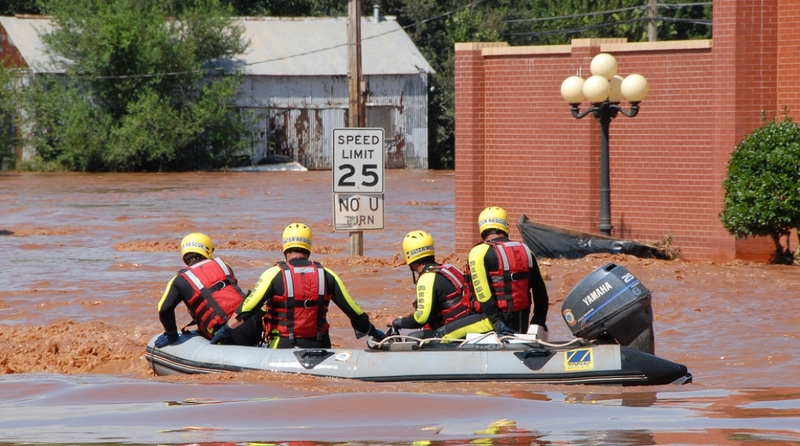 Federal rescue workers following flooding in Oklahoma in 2007. Whenever the government performs a cost-benefit analysis that supports a major decision, the panel asked it to abandon quests for short-term benefits in favor of longer-term strategies that consider financial risks and vulnerabilities associated with future climate hazards. The long-term costs of worsened flood vulnerability should be considered, for example, if a project is expected to damage a flood-buffering wetland. The panel asked the government to work with the insurance industry to develop pricing structures that encourage climate-savvy building decisions. It also wants policies developed that will require early notification of climate-related hazards before a property is traded.